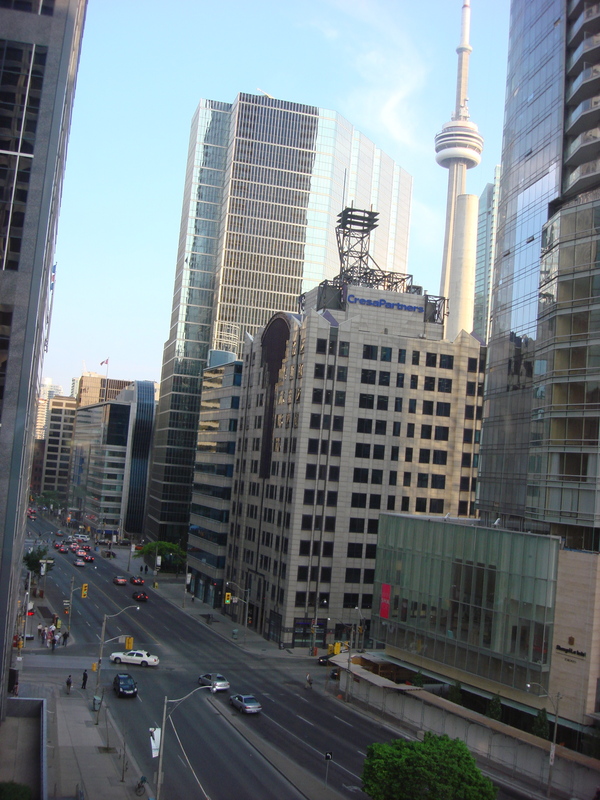 We stayed at the Hilton Toronto in May of 2012. We booked this hotel based on a phone conversation with the front desk and were pleasantly surprised with what we saw when we arrived. 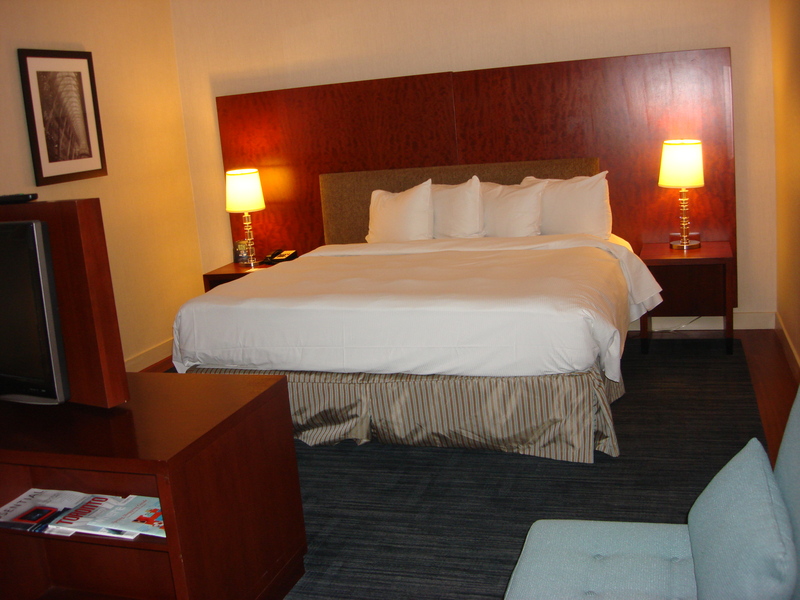 This hotel is right in the heart of the downtown core. The location of this hotel is really convenient. It is easy to drive to when you come in to downtown from the Gardiner Expressway. There is valet parking at the hotel, which makes it easy to check in and not have to worry about parking. 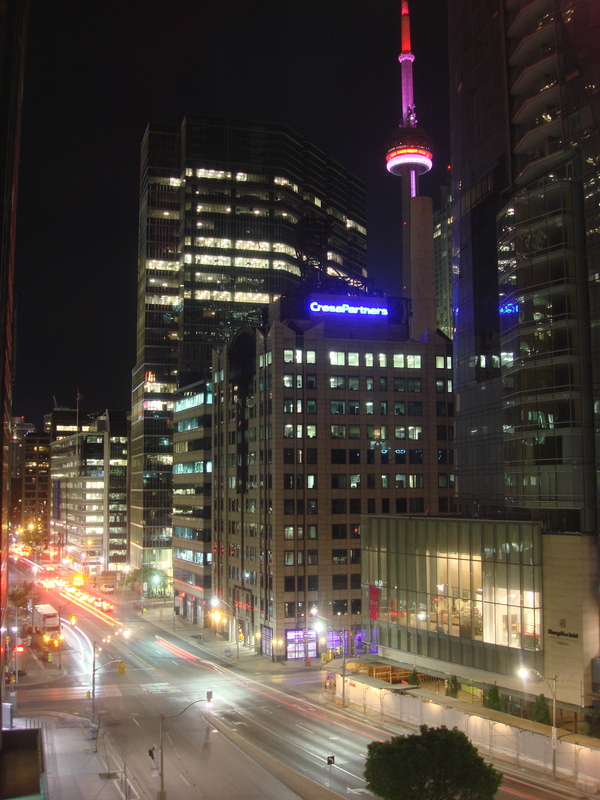 This hotel is within walking distance of the Eaton’s Centre (to the North) and The Beach (to the South). The CN Tower was visible from the window of our hotel room and we could have walked over there if we had wanted to explore it. The wheelchair accessible room we stayed in was huge and there was lots of room to move around. There was a low, king-sized bed, a flat-screen TV, a fridge, a desk area and a large bathroom. The door into the bathroom was wide and there was lots of room to move around in the bathroom. 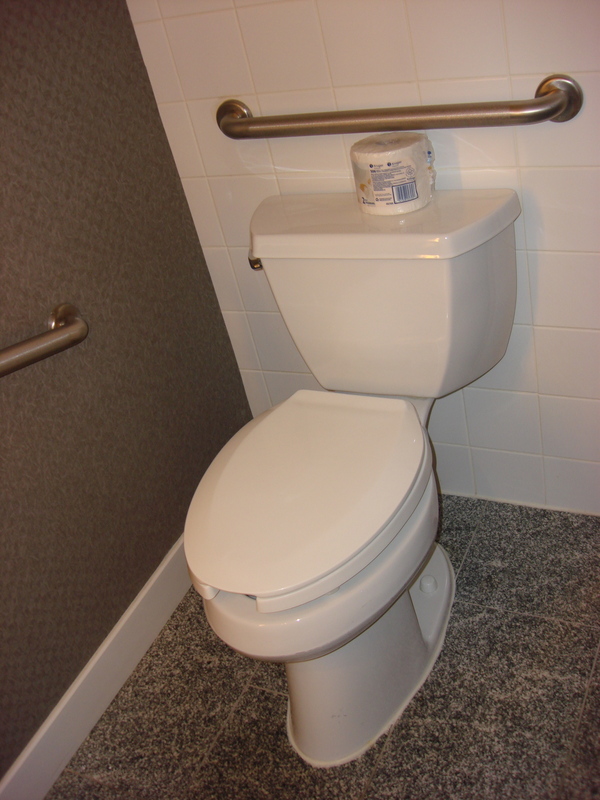 They had a raised toilet seat with two grab bars and a huge wheel-in shower. There was no built-in shower bench in the shower but they had a portable shower bench available upon request. We had no issues with getting in to the hotel or getting around in it. We had a lot of fun exploring downtown Toronto and got to see some pretty cool sights. 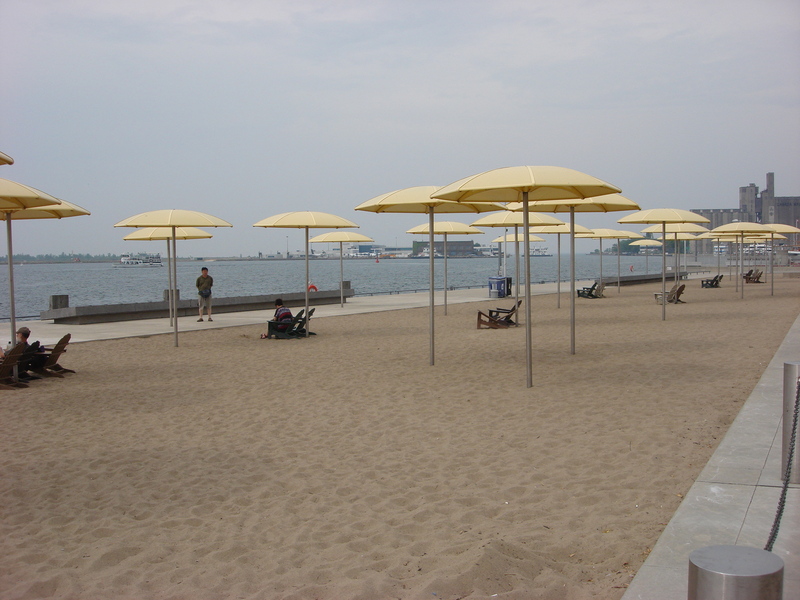 Before we went there, I didn’t even realize that there was a beach in Toronto but we went there and felt the sand in person! 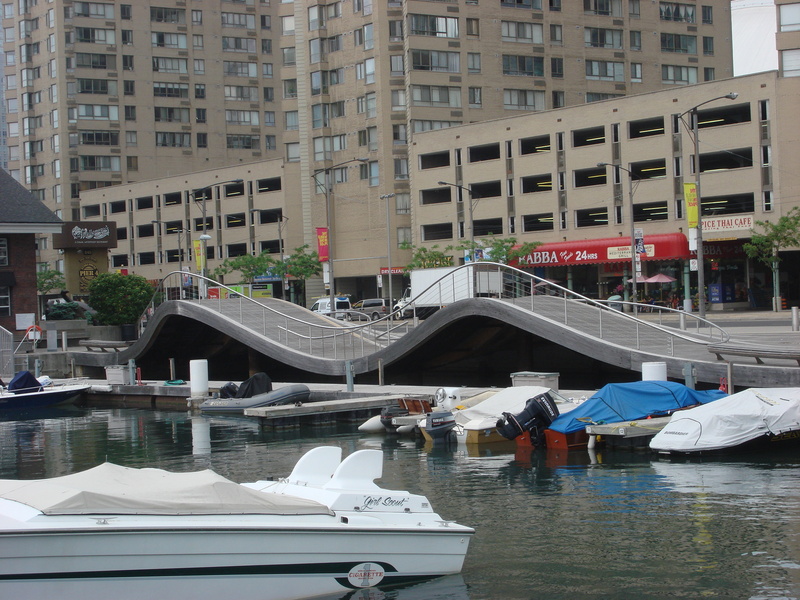 There are some really cool sights along the shoreline in downtown Toronto. This is definitely an area to explore if you have time. This Was Fun in the Wheelchair! Unfortunately I didn’t snap a picture of the sink in the bathroom, but in our room it was not wheel under. It is always surprising to me when a hotel puts in the effort to install a wheel-in shower and an accessible toilet and then they neglect the sink, but this is one of those hotels. Hopefully they will be renovating these sinks soon and ensuring that they are adequate for a wheelchair user. The pool was an indoor-outdoor pool and the area looked very run down. The inside area was dark and dungeon-like and the outside area was cold and uninviting. It was in the process of being renovated when we were there, so hopefully they have since made some significant improvements. 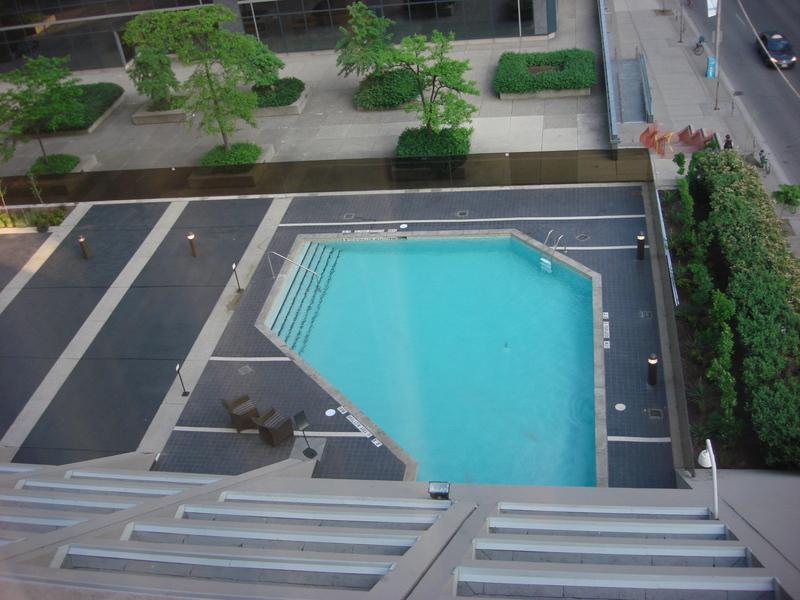 The pool area at this hotel was ugly, I must say. We went down there and, because of the way it looked, my husband refused to go in the pool. I went in but only swam for about 5 minutes. There was no hot tub and the area wasn’t what anyone would consider relaxing. Overall, this is a convenient, economical option in a great location in the heart of downtown Toronto. 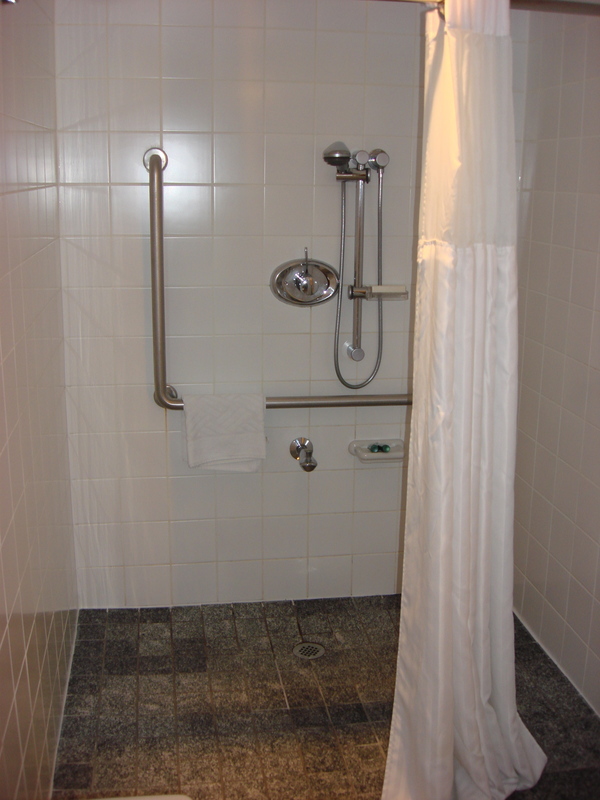 The accessible rooms aren’t perfect but they will probably meet your needs for a short stay.